CARE TODAY FOR YOUR HEALTH TOMORROW... at Forest Therapeutic Massage !!! Massage Treatments and Natural Therapies that promote therapeutic healing, relaxation and rejuvenation. Enjoy all the benefits of vibrant health! 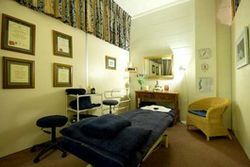 At FOREST therapeutic MASSAGE, we pride ourselves on having fully qualified, professional and caring therapists. FOREST therapeutic MASSAGE therapists provide a nurturing and healing environment for the health benefit of clients. Gift vouchers are available from FOREST therapeutic MASSAGE. Any of our professional services may be given in the form of a gift voucher. To make an appointment just select your preferred day and treatment time and contact the clinic on (02) 9453-9237.